Many college students work in teams. Many engage in project-based learning. Some apply and test their knowledge, skills, and values by engaging in consulting projects, working on problems/questions given them by businesses and non-profit organizations. Many times the students are advised by a faculty member, only ONE faculty member, their professor. But professors, even if they have Ph.Ds and years of work experience, have limited knowledge and wisdom. Their perspectives and perceptions are based on and biased by their own unique experiences. Think of the fable of the blind men and the elephant. Each of us is “blinded” by our own point of view. Thus the quality of students’ consulting work is limited by the professor’s and the students’ particular experiences (or lack thereof). So bring in more “blind” people! Give insight on what is holding us back! Engaging alumni and friends in the education process is part of our not-so-secret sauce. Asking them to advise (consult) our student consultants on intra-curricular and extra-curricular projects is just one way to do that. And the best advisers do that simply by providing analogies and asking insightful questions. Want To Become A Millionaire? and a total, unwavering belief in your own eventual triumph, throughout all the ups and downs, no matter what the naysayers tell you” (p. 11). Why does your success in life have little to do with what you study? “[J]ob security is dead….You’re going to have many different jobs, employers, and even careers in your life. So where you get your first, entry-level one–the single thing that a BA credential really helps with–becomes less and less relevant. Building a portfolio of real-world results and impacts you’ve created, over time, becomes more and more relevant. “[T]he internet, cell phones, and virtually free long-distance calling have created new opportunities for flexible, self-created, independent careers; this trend has been helped along by the gathering storms of millions of hungry, highly educated young men and women in India, China, Eastern Europe, the Philippines, and elsewhere, happy to do the work that entry-level Organizational Men would have done in years past, for a fraction of the cost” (p. 14). “For knowledge workers in the developed world, the tools of the trade have become so ridiculously cheap that the ‘means of production’ have once again become affordable to individual workers” (p. 16). “Education is still necessary to learn how to do the great work that gets you paid. But these days, almost all of the education that ends up actually earning you money ends up being self-education in practical intelligence and skills, acquired outside of the bounds of traditional educational institutions” (p. 17). Putting meaning and work together. Building networks and relationships, finding mentors and teachers. Having an entrepreneurial mindset (pp. 19-20). I don’t think Michael Ellsberg really answers the question here, although he does tell us how to begin to experiment and take risks. The secret, believe or not, is giving (p. 73). “Good marketing…speaks to the prospect about their deepest emotional realities, their innermost desires, and about helping them achieve what they want in those realms” (p. 115). “Sales is simply persuasive face-to-face communication. It’s relevant anytime you are talking with someone and you want a specific outcome to arise out of the conversation” (p. 129). “[E]ffective sales isn’t about spewing off a slick pitch. It’s about asking a lot of questions. The right questions. And then listening” (p. 136). 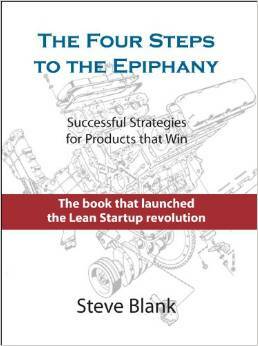 “Bootstrapping is a concept central to the themes in this book. In the world of business, it’s a strategy that involves getting to the point of profitability as quickly as possible–even if the profits are small–and then continually reinvesting profits to fuel growth” (p. 158). “Make small, incremental investments in your human capital and earning power. Buy some books….Take workshops and online training programs to learn different success skills. Invest in your network of connections and mentors by going to high-quality conferences, workshops, expos, trade shows, meetups, and retreats related to your field….Find a high-quality business or career coach….a snowball effect” (pp. 160-161). 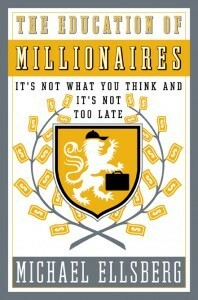 “Your brand is what people think of you when they hear your name” (p. 179). “We don’t get to choose what happens to us. But we get to choose what it means. And in that choice is a tremendous power….become the active ingredient in your own life” (p. 196). “It all boils down to one thing. [The self-educated millionaires featured in the book have] chosen to do whatever it takes teao create the lives they want, including exercising the effort and initiative to figure out what ‘whatever it takes’ is” (p. 200). Ironically, “[Money is] like breathing; we don’t live to breath.” (Max DePree, as quoted in On Moral Business, p. 912). See: http://www.telegraph.co.uk/technology/bill-gates/9812672/Bill-Gates-interview-I-have-no-use-for-money.-This-is-Gods-work.html. Life is about becoming holy — called to joy, even in business. Believe it or not, this is what students learn in Trinity’s Business Department and Center for Entrepreneurship and Community Empowerment. “So what is it that makes some startups successful and leaves others selling off their furniture? Simply this: startups that survive the first few tough years do not follow the traditional product-centric launch model…. [The] winners einvent and live by a process of customer learning and discovery….This book describes the ‘Customer Development’ model in detail. The model is a paradox because it is followed by successful startups, yet articulated by no one. Its basic propositions are the antithesis of common wisdom yet they are followed by those who succeed. It is the path that is hidden in plain sight” (pp. iv, v). What is the Product Development Model? Concept and Seed: “[Founders] capture their passion and vision for the company and turn them into a key set of ideas, which quickly become a business plan….Next, issues surrounding the product need to be defined: What is the product or service concept? Is it possible to build?….Second, who will the customers be and where will they be found?….Step three probes how the product will ultimately reach the customer and the potential distribution channel….pricing…financial plan”(pp. 2-3). Product Development: “Everyone stops talking and starts working. The respective departments go to their virtual corners as the company begins to specialize by functions….Engineering…. Marketing” (p. 3). Alpha/Beta Test: “Engineering works with a small group of outside users to make sure the product works as specified and tests it for bugs. Marketing develops a complete marketing communications plan, provides Sales with a full complement of support material, and starts the public relations bandwagon rolling” (p. 4). What’s Wrong with the Product Development Model? Where are the Customers? “To begin with, the Product Development diagram completely ignores the fundamental truth about startups and all new products. The greatest risk — and hence the greatest cause of failuire — in startups is not the development of the new product but in the development of customers and markets. Startups don’t fail because they lack a product; they fail because the lack customers and a proven financial model” (p. 5). The Focus on First Customer Ship Date: “Using the Product Development model forces sales and marketing to focus on the first customer ship date. Most competent sales and marketing executives look at the first customer ship date. look at the calendar on the wall, and then work backwards figuring out how to do their job in time….The flaw in this thinking is that ‘first customer ship’ is only the date when Product Development thinks they are ‘finished’ building the product. The first customer ship date does not mean the company understands its customers or how to market or sell to them….Obviously, your new division or company wants to get a product to market and sell it, but that cannot be done until you understand who you are selling your product to and why they are buying it” (p. 5). An Emphasis on Execution Instead of Learning and Discover. “In startups the emphasis is on ‘get it done, and get it done fast.’ So it’s natural that heads of Sales and Marketing believe they are hired for what they know, not what they can learn….This is usually a faulty assumption. Before we can sell a product, we have to ask and answer some basic questions: What are the problems our product solves? Do customers perceive these problems as important or ‘must have?’ If we’re selling to consumers, how do we reach them? How big is this problem? Who do we make the first sales call on? Who else has to approve the purchase? How many customers do we need to be profitable? What is the average order size?…For startups in a new market, these are not merely execution activities; they are learning and discovery activities critical to the company’s success or failure” (p. 6). A Lack of Meaningful Sales, Marketing, and Business Development Milestones. “What kind of objectives should a startup want or need? That’s the key question. Most executives and marketers focus on execution activities because at least these are measurable. For example, in sales, revenue is the number one thing that matters….Some startup sales execs also believe hiring the core sales team is a key objective….In reality none of these are true objectives. Simply put, a startup should focus on reaching a deep understanding of customers and their problems, discovering a repeatable road map of how they buy, and building a financial model that results in profitability. The appropriate milestones measuring a startup’s progress answers these questions: How well do we understand what problems customers have? How much will they pay to solve those problems? Do our product features solve these problems? Do we understand our customers’ business? Do we understand the hierarchy of customer needs? Have we found visionary customers, one who will buy the product early? Is our product a must-have for those customers? Do we understand the sales road map enough to consistently sell the product? Do we understand what we need to be profitable? Are the sales and business plan realistic, scalable, and achievable? What do we do if our model turns out to be wrong?” (p. 7). The Use of a Product Development Methodology to Measure Sales. “[The Product Development Plan] calls for selling in volume the day Engineering is finished building the product. What plan says that? Why, the business plan, which uses the Product Development model to set milestones. The consequences is selling isn’t predicated on discovering the right market or whether any customers will shell out cash for your product. This ‘ready or not, here we come’ attitude means you won’t know if the sales strategy and plan actually work until after first customer ship” (p. 8). The Use of a Product Development Methodology to Measure Marketing. “The head of Marketing looks at the same [process] and sees something quite different….For Marketing, first customer ship means feeding the sales pipeline with a constant stream of customer prospects….At first glance this process may look quite reasonable, except for one small item: all this marketing activity occurs before customers start buying — that is, before Sales has had a chance to actually test the positioning, marketing strategy, or demand-creation activities in front of real customers” (p. 9). “The Customer Development model of a startup starts with a simple premise: learning and discovering who a company’s initial customers will be, and what markets they are in, requires a separate and distinct process from Product Development….Before any of the traditional functions of selling and marketing can happen, the company has to prove a market could exist, verify someone would pay real dollars for solutions the company envisions, and then go out and create the market….Where Product Development is focused on first customer ship, the Customer Development model moves learning about customers and their problems as early in the development process as possible. In addition, the model is built on the idea that every startup has a set of definable milestones no amount of funding can accelerate” (p. 15). What is the Customer Development Model? “Most startups lack a process for discovering their markets, locating their first customers, validating their assumptions, and growing their business” (p. 18). “Broadly speaking, Customer Development focuses on understanding customer problems and needs, Customer Validation on developing a sales model that can be replicated, Customer Creation on creating and driving end user demand, and Company Building on transitioning the organization from one designed for learning and discovery to a well-oiled machine engineered for execution” (p. 19). “[Each] step in the Customer Development model is iterative. That’s a polite way of saying, ‘Unlike Product Development, finding the right customers and market is unpredictable, and we will screw up several times before we get it right'” (p. 19). Step 1: Customer Discovery. The goal of Customer Discovery is…finding out who the customers for your product are and whether the problem you believe you are solving is important to them. More formally, this step involves discovering whether the problem, product and customer hypotheses in your business [model] are correct” (p. 20). Step 2: Customer Validation. The goal of this step is to build a repeatable sales road map for [the sales and marketing teams to follow later….”In essence, Customer Discovery and Customer Validation corroborate your business model. Completing these first two steps verifies your market, locates your customers, tests the perceived value of your product, identifies the economic buyer, establishes your pricing and channel strategy, and checks out your sales cycle and process. If, and only if you find a group of repeatable customers with a predictable sales process, and then find those customers yield a profitable business model, do you move to the next step (scaling up and crossing the Chasm)” (p. 21). Step 3: Customer Creation. “Customer creation builds on the success the company has had in it initial sales. Its goal is to create end-user demand and drive that demand into a company’s sales channel. This step is placed after Customer Validation to move heavy marketing spending after the point where a startup acquires its first customers, thus allowing the company to control its cash burn rate and protect its most precious asset” (p. 22). Step 4: Company Building. “Company building is where the company transitions from its informal, learning and discovering-oriented Customer Development team into formal departments with VPs of Sales, Marketing and Business Development. [Founders] now focus on building mission-oriented departments exploiting the company’s early market success” (p. 22). There is always a call…. There is always a decision…. There is always a changed life…. Those who say now are changed to. They become a little harder, a little more resistant to his calling, a little more likely to say no to the next time. Whatever the decision, it always changes a life–and it changes the world that that little life touches” (pp. 9, 10). Water-walkers recognize God’s presence. “In each case God had to get people’s attention….In each situation the person that God called felt afraid” (p. 15). Water-walkers distinguish between faith and foolishness. “This is not a story about risk-taking; it is primarily a story about obedience….This is not a story about extreme sports. It’s about extreme discipleship” (p. 16). Water-walkers get out of the boat. “Your boat is whatever represents safety and security to you apart from God himself. Your boat is whatever you are tempted to put your trust in, especially when life gets a little stormy. Your boat is whatever keeps you so comfortable that you don’t want to give it up even if it’s keeping you from joining Jesus on the waves. Your boat is whatever pulls you away from the high adventure of extreme discipleship. Want to know what your boat is? Your fear will tell you. Just ask yourself this: What is it that most produces fear in me — especially when I think of leaving it behind and stepping out in faith?” (p. 17). Water-walkers expect problems. [We abandon ourselves to the power of Jesus. Then it happens. We experience the wind and we become afraid again] (p. 19). Water-walkers master failure management. “Failure is not an event, but rather a judgement about an event. Failure is not something that happens to us or a label we attach to things. It is a way we think about outcomes” (p. 22). “The worst failure is never to get out of the boat” (p. 23). Water-walkers see failure as an opportunity to grow. “Here’s the principle: Failure does not shape you; the way you respond to failure shapes you” (p. 24). Water-walkers learn to wait on the Lord. “We have to wait on the Lord to receive power to walk on the water. We have to wait for the Lord to make the storm disappear” (p. 25). Water-walking brings a deeper connection with God. “I believe that God’s general method for growing a deep, adventuresome faith in us is by asking us to get out of the boat. More than hearing a great talk, or reading a great book, God uses real-world challenges to develop our ability to trust him” (p. 27). 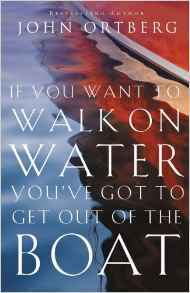 “The call out of the boat involves crisis, opportunity, often failure, generally fear, sometimes suffering, always the calling to a task that is too big for us. But there is no other way to grow faith and to partner with God” (p. 27). “There is not tragedy like the tragedy of the unopened gift” (p. 32). “There are few things that attract us more than growth. We were made to grow, and we love to be around growth” (p. 33). “Consider the sense of fulfillment in the leaders of a company that is expanding, achieving its mission, giving vocational opportunities to men and women who yesterday didn’t have any. They are watching the miracle of growth….On the other hand, there are few things sadder than stagnation” (p. 34). “At the end of the day, God will not ask you why you didn’t lead someone else’s life or invest in someone else’s gifts. He will not ask, What did you do with what you didn’t have? Though, he will ask, What did you do with what you had? “Fear makes people disobedient to the call of the master” (p. 44). “It is only in the process of accepting and solving problems that our ability to think creatively is enhanced, our persistence is strengthened, and our self-confidence is deepened. If someone gives me the answers, I may get a good score on a test, but I will not have grown” (p. 47). “Growth happens when you seek to exert control where you are able to rather than giving up in difficult circumstances. It happens when you decide to be wholly faithful in a situation that you do not like and cannot understand. It happens when you keep walking even though you see the wind. Then you discover that you are not alone” (p. 104). “Sin, to paraphrase what psychologist Carl Jung once said about neurosis, is always a substitute for legitimate suffering. It is an attempt to obtain the pleasure that does not rightfully belong to me or evade the pain that does….Sooner or later, you have to turn and face the pain that makes temptation so attractive. Sooner or later, you have to run to God” (p. 106). “As Scott Peck puts it, ‘It is in this whole process of meeting and solving problems that we grow mentally and spiritually….It is for this reason that wise people learn not to dread but actually to welcome problems and actually to welcome the pain of problems'” (p. 111). “The single command in Scripture that occurs more often than any other — God’s most frequently repeated instruction — is formulated in two words: Fear not…. I think God says ‘fear not’ so often because fear is the number one reason human beings are tempted to avoid doing what God asks them to do. Fear is the number one reason human being are tempted to avoid getting out of the boat” (pp. 117, 118). “All research suggests that self-esteem largely boils down to one issue: When you face a difficult situation, do you approach it, take action, and face it head on, or do you avoid it, wimp out, and run and hide? If you take action, you get a surge of delight, even if things do not turn our perfectly. I did a hard thing. I took on a challenge. You grow. When you avoid facing up to a threatening situation, even if things end up turning out alright, inside you say, But the truth is, I wimped out. I didn’t do the hard thing. I took the easy way out.” Avoidance kills an inner sense of confidence and esteem (pp. 124, 125). “[The cave named Failure] is where you find yourself when you thought you were going to do great things, have a great family, or boldly go where no one had gone before, and it becomes clear that things will not work out as you dreamed. Perhaps you are in the cave because of foolish choices. Perhaps it is the result of circumstances you could not even control. Most likely it is a combination of the two….There is only one other thing you need to know. The cave is where God does some of his best work in molding and shaping human lives. Sometimes, when all the props and crutches in your life get stripped away and you find you have only one God, you discover that God is enough…that God wants his power to flow through your weaknesses” (pp. 138, 139). “God is particularly active in working with people” (p. 57). “You are a piece of work by God!… And because you were made in God’s image, you were also created to do work” (p. 58). “You have a purpose–a design that is central to God’s dream for the human race….As a crucial part of your calling, you were given certain gifts, talents, longings, and desires” (p. 58). “A calling is something you discover, not something you choose. The word vocation comes from the Latin work for voice. Discovering it involves very careful listening” (p. 60). “As a rule, the people whom we read about in Scripture who were called by God felt quite inadequate….The first response to a God-sized calling is generally fear (p. 70). “[People] will experience God’s power–but they will have to take the first step. This not only involves acknowledgement of God’s power, but requires them to take a step of action based on the assumption that God is trustworthy as well” (p. 79). Law of Cognition: “You are what you think” (p. 161ff). Law of Exposure: “Your mind will think most about what it is most exposed to” (p. 162ff).